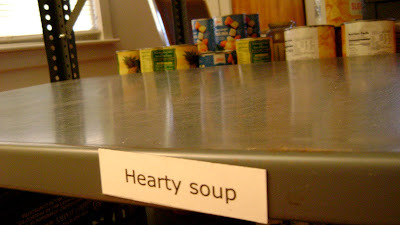 Soup is a vital part of many of our clients' diets, even through the Summer months. As well as being a meal in itself, canned soups are the starting ingredient in many recipes. Canned soups can be a great source of Vitamin A, Iron, and Potassium. Unfortunately, our soup shelves are scarcely stocked at the moment and we need your help to restock them, so please consider donating soup to the pantry.